Beijing based electronics company, Xiaomi, announced that it will roll out its much anticipated Android One smartphone, the Mi A2, in India, on August 8. The phone was unveiled on Tuesday at an event in Spain, along with its lite version the Mi A2 Lite. 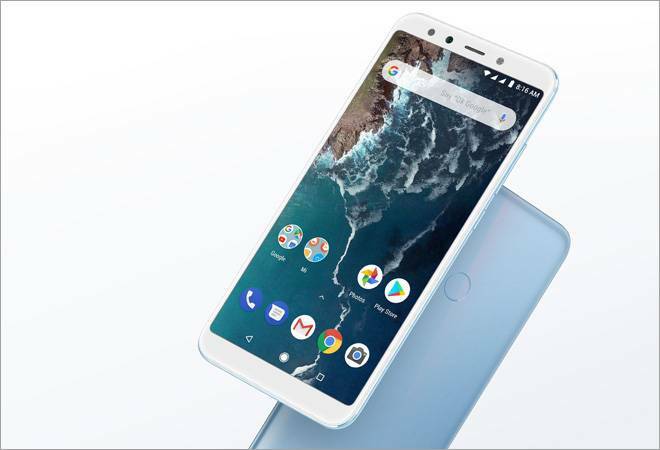 Beijing based electronics company, Xiaomi, announced that it will roll out its much anticipated Android One smartphone, the Mi A2, in India, on August 8. The phone was unveiled on Tuesday at an event in Spain, along with its lite version the Mi A2 Lite. Availability of the Lite version, however, hasn't been confirmed. The base variant of the Mi A2 with 4GB RAM and 32GB of internal storage will also be a no-show in India. Manu Kumar Jain, Vice President of Xiaomi, and Managing Director of Xiaomi India shared the news on Twitter stating, "WOW! Got my hands on the new #MiA2! We announced the launch of this phone in Spain today. Mi A2 comes with: 12MP + 20MP dual camera, 20MP AI-powered front camera, Qualcomm Snapdragon 660, Android One And yes! Mi A2 is coming to India on 8th August!" The Mi A2, prices start at 249 euros in Spain which roughly comes down to Rs 20,000 for the base model. The second variant, which will be made available in India was launched at a price of 279 euros which translates to Rs 22,400. The Indian prices are expected to be lower than this. The phone features a 5.9-inch screen with an 18:9 aspect ratio and a resolution of 2160x1080. It is powered by a Snapdragon 660 SoC and runs on Android One. It has a 20MP+12MP vertically stacked dual camera on the rear and a 20MP selfie camera. It is powered by a 3,010mAh battery with a USB Type-C port. The Mi A2 Lite, priced at around Rs.14,000 for the base model, features a 5.84-inch display with a notch and the same resolution as Mi A2. It is powered by Snapdragon 625 SoC and features a 12MP + 5MP rear camera setup and 5MP front facing camera. It has a battery capacity of 3,900mAh. Recently, Singapore based leading global technology market analyst firm, Canalys, reported that Xiaomi and Samsung shipped 9.9 million smart-phones each in India, in the second quarter of 2018. Both companies accounted for a combined shipment of over 60 per cent, up from 43 per cent a year ago. Xiaomi has increased its shipments to 30 per cent from 18 per cent in the second quarter and registered a massive 106 per cent growth.